Before I start talking about this magnificent lady, check out her video, which is bound to impress. I know, you will be like, so what if she is lifting weights. But there is much more to it. Can you guess her age? I bet, you can’t. 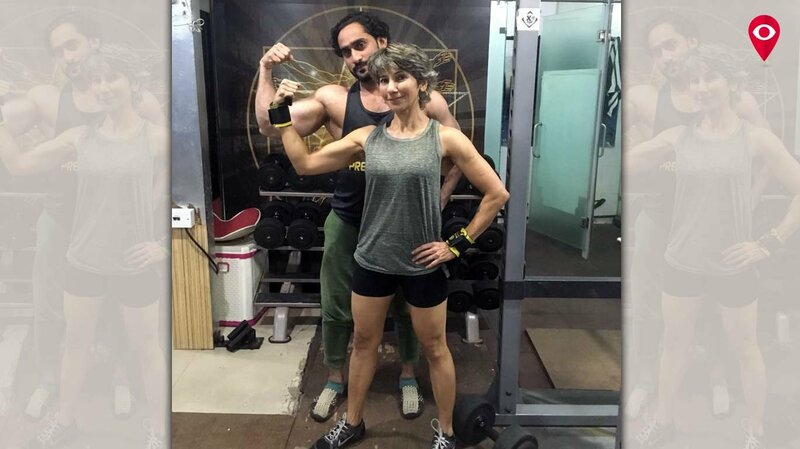 This is Nishrin Parikh, only 51-year-old (yes, you heard it right), who is preparing herself to participate in ‘Asia Bodybuilding and Physique competition’ which will be taking place in Seoul, South Korea, this month. Nishrin, the fitness enthusiast by profession, has been keen about bodybuilding over the last few years. Her aim to compete in the competition is not only to win, but also to motivate and seed a thought in the society for people to focus on health. “I have transformed myself over the years. I want to reach out to more people. If I sit in my home, I will not be able to reach out to people. I want to be bold, daring and want to step out and show myself in two piece bikini. When they will see me, they will realise that there is a possiblity and they will get motivated. I really wanna make a change. I want to step out in a bikini, with a cause. I want people to change. I want them to become stronger, fitter and comfortable and get out of those loose clothing,” said Nishrin. I am not a body builder but a bikini athlete. I actually go on stage and do quarter turns. The judges see the symmetry of the body, your appearance, your happiness. Apart from this, I also get invited at a muscle mania as a judge which was held last year. I am an athlete at 51 and I am very proud to say that I am the only athlete in India who goes up on stage in a bikini. I am really trying to push people of my age so that they start going to gym or start working out. Nishrin holds a black belt in Karate and also practices and teaches yoga strength at home, which involves a combination of strength training, asanas and a lot of weight training. She believes that coach plays a very important role and showed her gratitude to his coach Tausif Kazi, who has been training her for the last 3 years, and ensuring that she doesn't lose a count. Three years back, Nishrin was 56 kilos, and today she weighs 46 kilos with 16% body fat. She advocates that food plays an important role. Nishrin had also participated in Gladrags Mrs. India competition in March, this year where she was praised for her talent and beauty. “If we see the size of our stomach, it is the size of our closed fist. One should cut down their portion and quit eating junk. Stick to natural foods. Don't fill your stomach as there is no tomorrow,” said Nishrin. Nishrin lives with her husband Hitesh and kids Arya and Karan. The couple is a black belt in karate and the children are a black belt in Taekwondo. 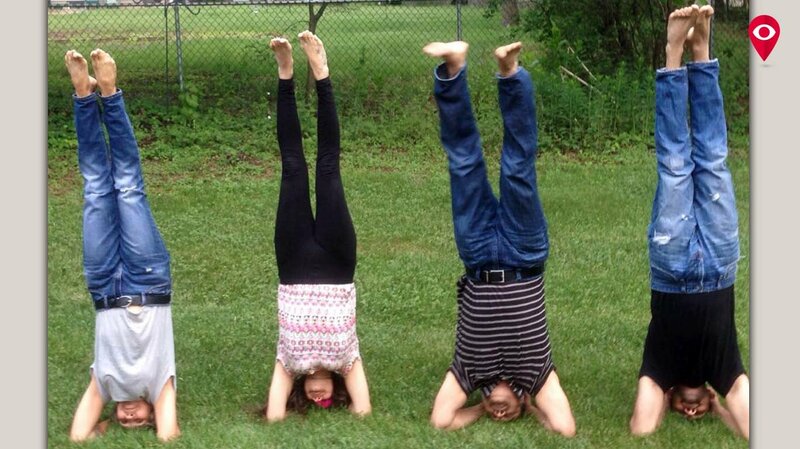 They have a ritual of keeping themselves healthy and also love doing a head stand while travelling, on a holiday. Talking about her passion, Hitesh said that she is very hard working and very determined and also prefers working out over kitty parties. She has handled my family very well and she balances her likes interests and family very effectively. She is good at what she does. My mother is her yoga student. Whenever we talk about working out, we get away with a lot of excuses, and eventually, it only adds to the laziness. After meeting Nishrin, I was left with no excuses. If she can do it, we definitely can. There will be no cons only pros. There is no doubt, that Nishrin Parikh has set some serious fitness goals. And as she says, one must pay attention that each moment counts and we must make most of it - Eat healthy, work hard and stay fit.